Two Eckersley O'Callaghan projects have been named winners at this year's Architizer A+ Awards. 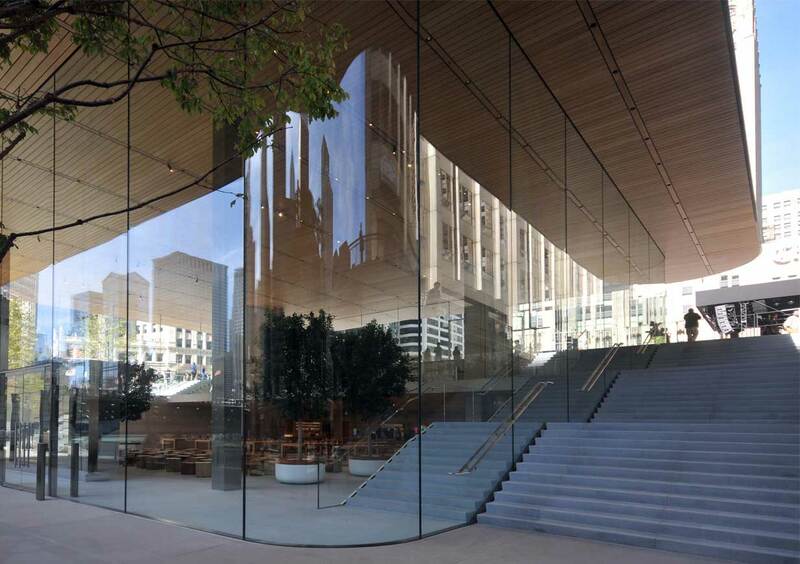 Apple Michigan Avenue picked up the Popular Choice Award, which is chosen by the voting public, in the Details - Architecture + Stairs category. We engineered the building's spectacular curved glass facade. Tropicalia was named both the Popular Choice Winner and the Jury Winner in the Unbuilt Sports and Recreation category, selected by a jury that included leading architects and designers such as Yves Behar and Olafur Eliasson. We are providing structural and facade engineering services for what will be the world's largest tropical greenhouse, contained within a single, column-free dome.